Love is in the air, and we’re not just talking about Valentine’s Day. Wedding season is fast approaching, which means couples are in full planning mode. Thanks to a new wedding trend report from Etsy, staying in the know doesn’t have to feel like a full-time job. 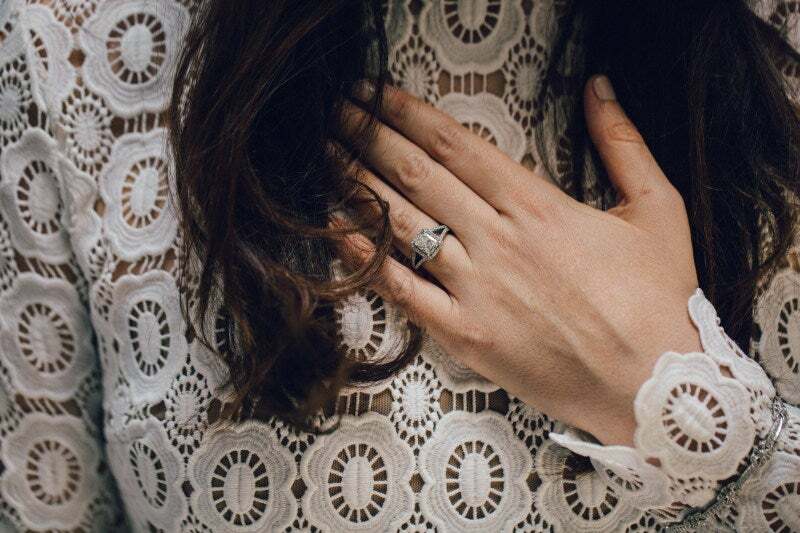 After looking at recent search spikes across all wedding categories on the site, the e-commerce hub has released its biggest predictions for 2019. A far departure from forecasts of years past, this year seems to be moving in an unexpectedly maximalist direction. Even nonconforming couples will want to get in on these eight leading ideas and ditch their dated counterparts. More is more when it comes to selecting wedding gowns. Over the past three months, Etsy reports 155,000 searches in dresses with sleeves. From enveloping lace silhouettes to romantic silk robes, this year’s biggest fashion moments will go beyond the standard strapless gown. Tulle turbans, wide-brimmed hats, feathered bands, and oversize bows are just a few alternative iterations you’ll spot coming down the aisle this season. With over 307,000 searches for “rhinestones” so far this year and peaked interest in “polka dots,” it looks like the ’90s are coming back in full force—fanny packs and butterfly clips included. We hate to see good decorations go to waste. Luckily, it looks like 2019 will be the greenest season yet. In lieu of perishable party goods, eco-conscious couples are opting for reusable straws, biodegradable confetti, and vintage decor. Sure, your feet will still hurt from all the dancing, but you’ll be decreasing your footprint on the planet in the process. Unexpected textures are winning out by way of laser-cut wedding invites, pampas grass bouquets, and velvet guest books. Details go a long way, so why not make them memorable? Some things are best kept private on your big day. In January alone, Etsy saw 3,000 searches for “secret messages.” Hand-stamped tie bars, initial couple rings, and embroidered dress patches are just a few personalized touches that can be kept between the couple. Not walking down the aisle? Finding your seat is about to get a lot more exciting. Playful maps, personalized coasters, and keepsake cards will lead you to your table. 2019 is looking up for guests. Bid friends and family farewell by gifting them something they’ll want to use in their own homes. Wine, honey jars, and personalized soap are just a few favors that are experiencing a spike in searches.